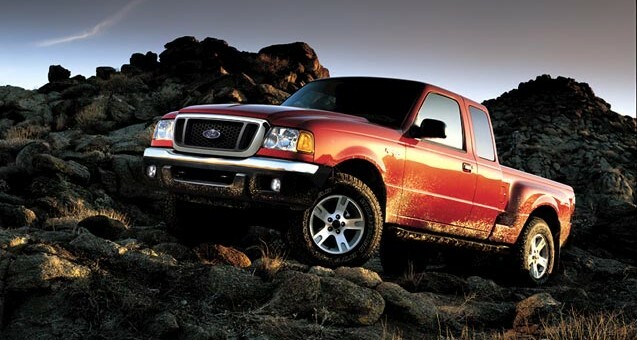 Ford Motor Company is recalling its last-generation Ford Ranger pickup truck over faulty airbags. The recall is part of the now-infamous Takata airbag fiasco that affects a significant amount of automakers in the industry. The defect: affected vehicles are equipped with a passenger side frontal airbag that may be susceptible to moisture intrusion which, over time, could cause the inflator to rupture. The hazards: in the event of a crash necessitating deployment of the passenger’s frontal airbag, the inflator could rupture with metal fragments striking the passenger or other occupants, resulting in serious injury or death. Number of vehicles affected: 361,523. The fix: Ford will notify owners, and dealers will replace the front passenger airbag inflator, free of charge. Owners should: customers looking to find out if a vehicle is included in the recall should visit www.ford.com and click on Safety Recalls at the bottom of the page. Customers can then enter their Vehicle Identification Number (VIN) to see any open safety, compliance or emissions recalls, as well as customer satisfaction programs. The recall is expected to begin July 13th, 2015. Owners may contact Ford customer service with questions by using the following information. This recall is an expansion of Ford’s safety recalls on vehicles equipped with certain airbag inflators from automotive supplier Takata. The expansion of the recall is taking place after Takata notified the U.S. NHTSA last week that some of its airbag inflators are defective, affecting several automakers across the industry. The cumulative amount of Ford vehicles recalled with Takata airbag inflators is now 1,509,535 units. News editor focusing on business, financial, and sales coverage who loves anything on wheels, especially if it's fast.